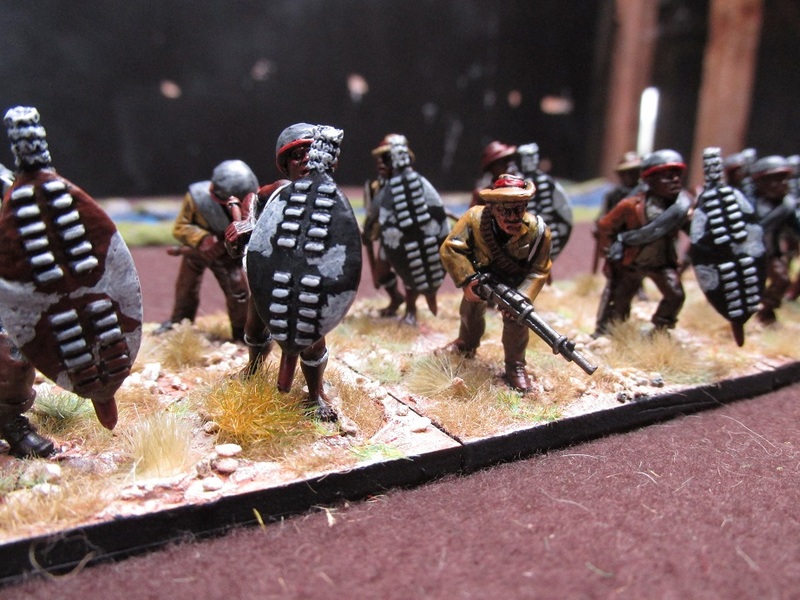 The second infantry unit completed for my new Anglo-Zulu Wars sub-project is a unit of twenty Natal Native Contingent. These are part of the bulk lot I brought second hand. 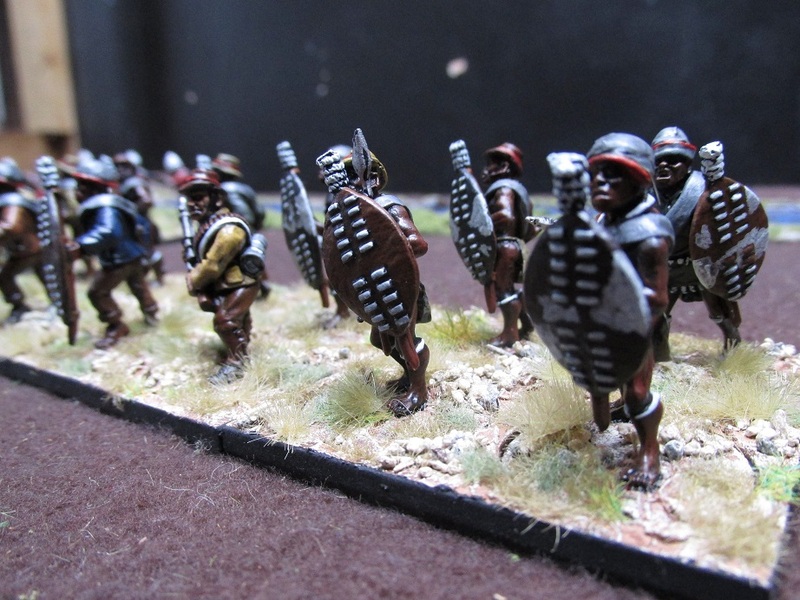 The figures come with separate shields and were glued on with two part metal epoxy glue. 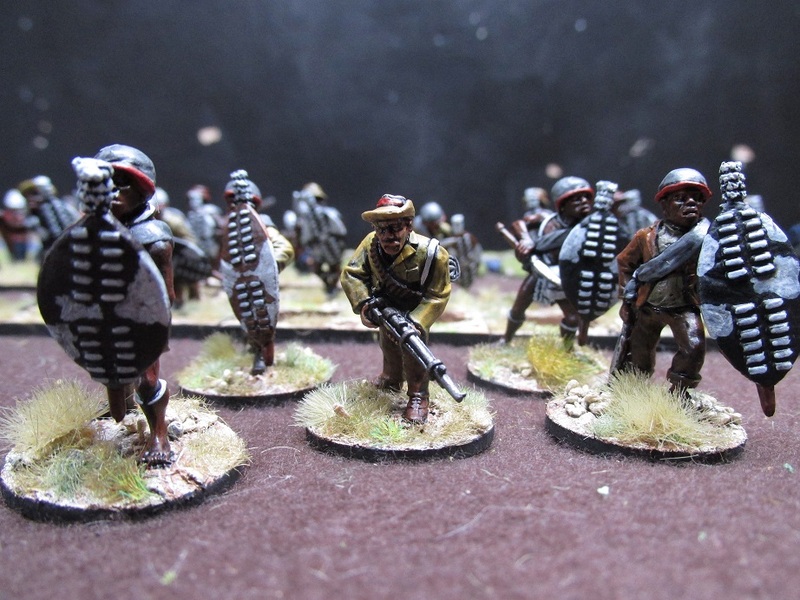 I have not really ever painted African skin tones before – a few buffalo soldiers and so on for Wild West notwithstanding. I was reasonably happy with how these guys came out. The pictures are not as flattering as they are in real life. 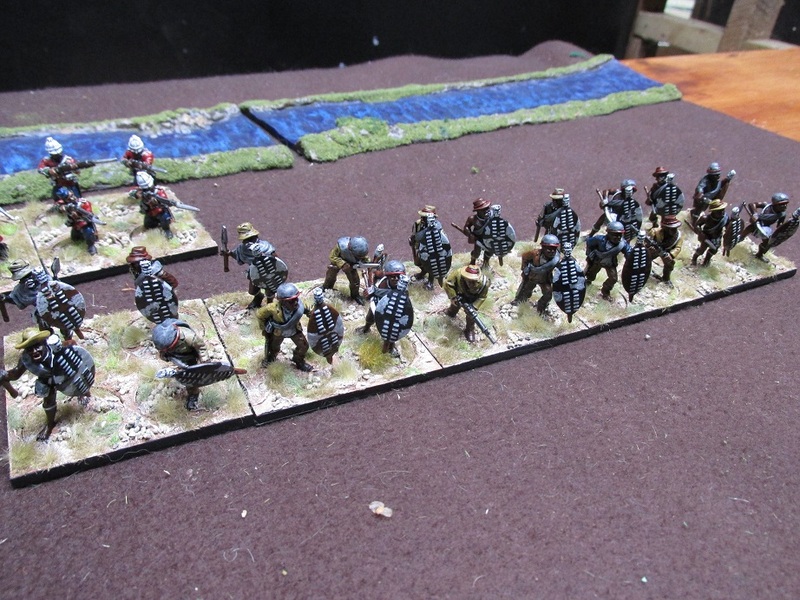 I had no command figures so used two Boers from a large unit of Boers that are also on the painting to-do list. The Black Tree Native Contingent figures have no models with firearms – or at least there were none in the lot I purchased. I might add a few Warlord plastic ones to the unit at some stage. 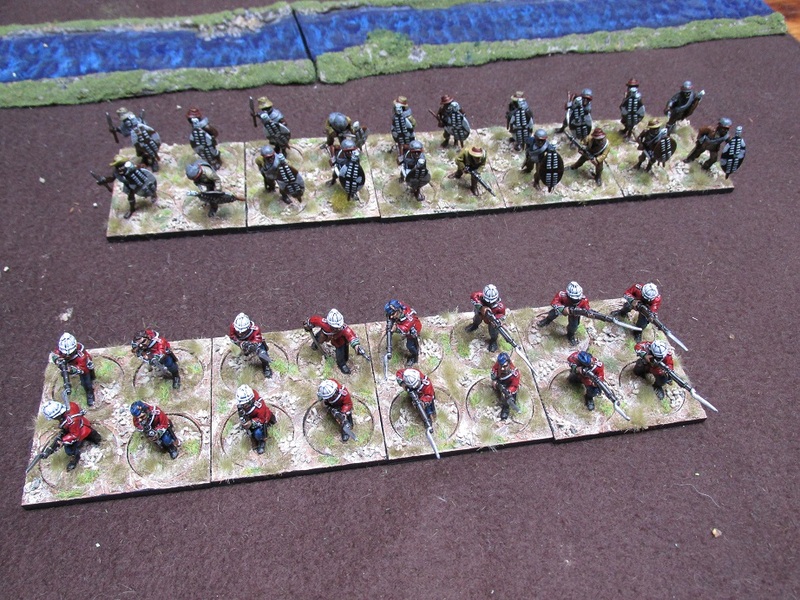 Being as they are based on separate rounds mixing new figures into units will be no problem.